ON THE 26/07/2015 WE REPLACED THE OLD MEMORIAL THAT THAT HAD BEEN MOVED INTO THE GROUNDS OF THE SOHO FOUNDRY TAVERN WITH THIS NEW INDIAN GRANITE STONE. Michael Chaplin eldest son of Charlie Chaplin came over from the south of France to unveil the monument. Michael and some members of the Chaplin family have visited our group meeting for a number of years investigating a claim that Charlie was born in the queens caravan on the Black Patch, the story is on the Charlie Chaplin page. 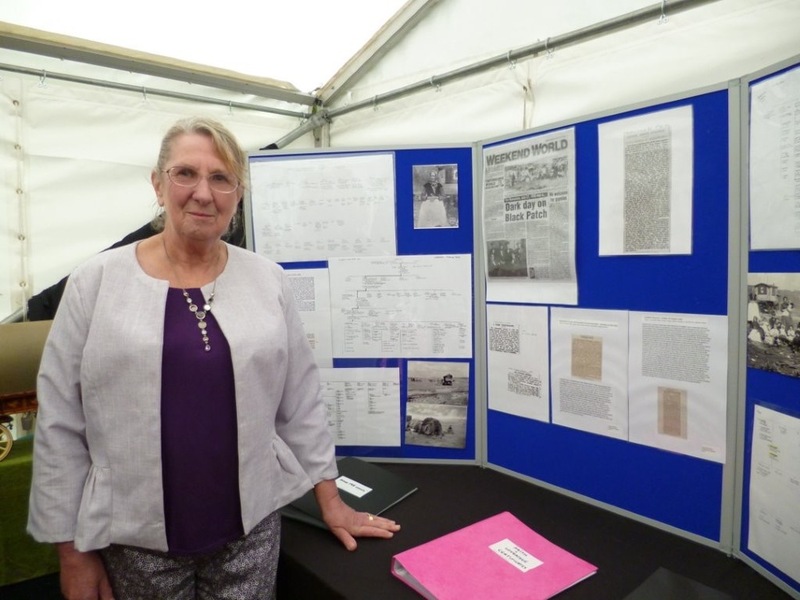 TWO DISPLAYS IN THE MARQUE OUR GROUP DISPLAY AND THE ROMANY ROUTES DISPLAY OF GYPSY BOOKS AND FAMILY HISTORY INFORMATION. BEVERLEY WALKER, MICHAEL CHAPLIN AND JOSIE TOMBS. CAROL BROADHURST AND MICHAEL CHAPLIN.